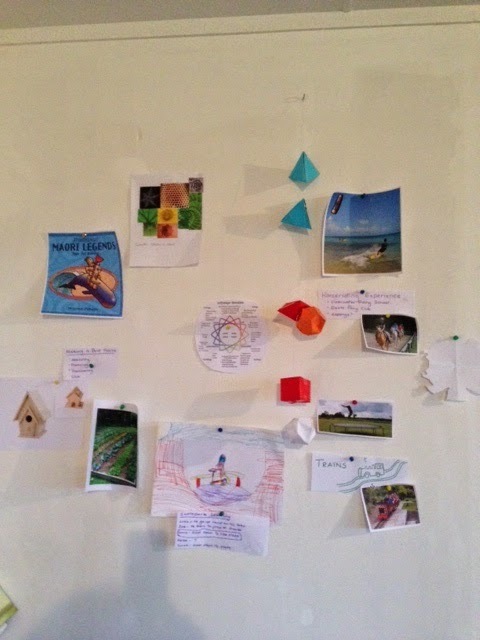 These are some of our individual mind maps created within the last 6 months. This activity is an ongoing one, as we feel like revisiting and revising what we would like to be achieving as individuals. The ideas are fluid some stay some go some come and go a bit. 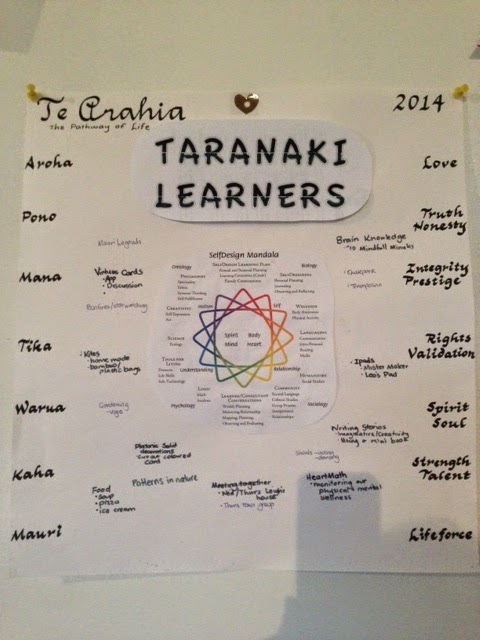 From these mind maps we create shared group learning which are things we would like to do together. As we become more familiar with this process I imagine it will become a twice yearly event to crate individual then group mind maps to turn into a learning plan. 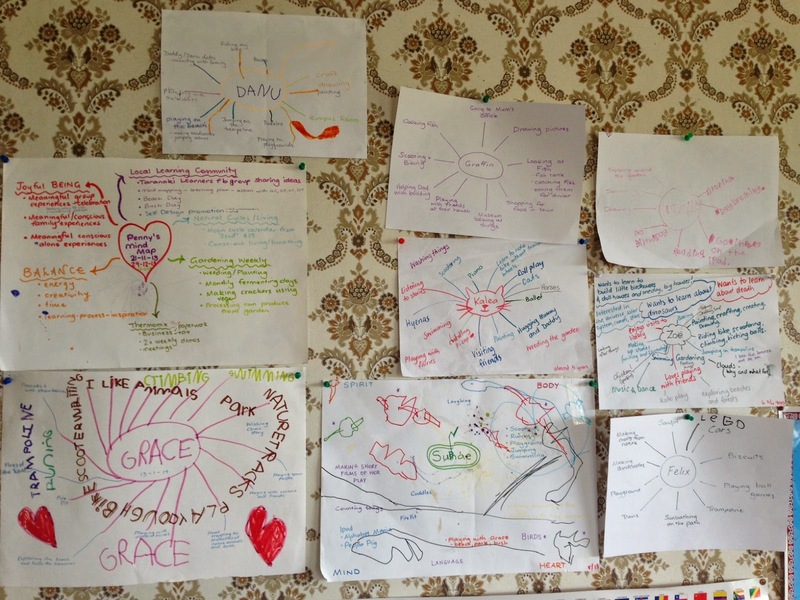 This is our group mind map which shows the areas of heart, mind, body and spirit. We write down in given areas things that come up for us and then bring them to our learning plan as questions, physical activities or discussions/ideas we would like to follow up. 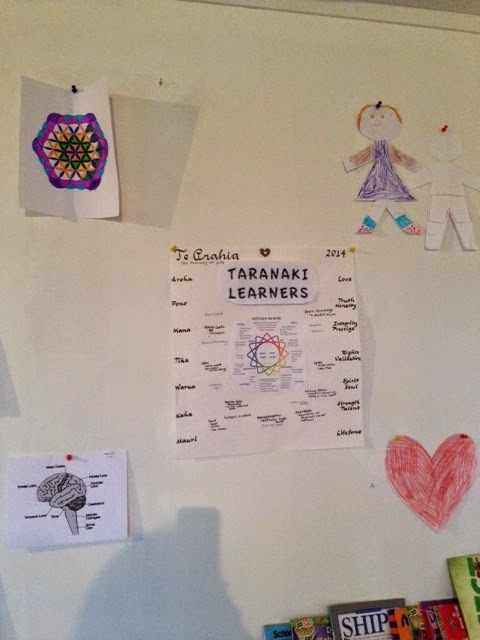 The Learning Plan is mostly pictures so as children are inspired and reminded of the things that we are working towards together. This is again still in working progress so will be added to as we work on refining our learning topics and ideas.